<Robots delivering pizza and house viewing by VR: is 5G really the future? Being first isn’t all it’s cracked up to be. Sitting proudly on my parents’ mantelpiece is a picture of me as an eight-year-old athlete, white vest, arms pumping – a champion in the making. I seem to be way out in front miles ahead of the opposition.. The truth is I was so far behind I was about to be lapped. Who cares? No one but me remembers I didn’t actually win. When it comes to car design, there is also much to recommend a slow start. Sit back, let the competition take the gamble and put in the hard yards in R&D. Then, when the market is mature, the demand created, the errors thrashed out, you pounce. BMW, Porsche and Audi all blasted on to the luxury SUV circuit more than a decade ago, and even they were a generation behind Range Rover and Land Rover. Now, making its very late entry to the party is Jaguar’s first ever SUV – the F-Pace. It has already picked up 25 global awards and is the fastest-selling Jaguar ever, with more than 50,000 already sold since its launch. Customers can’t get enough of the luxury crossover. Part limo, part off-road bruiser, part highway cruiser, they give you a bit of everything you fancy. And the F-Pace does it all very neatly: it’s big but not colossal; fast but not terrifying; luxurious but not ostentations; capable but probably not one for heading to Antarctica in. Think of it as a v posh shuttle to whip you from Chelsea to the Cotswolds. Being part of the Jaguar Land Rover group, you’d think creating an F-Pace to going toe-to-toe with stable mates such as the Evoque and Discovery Sport would be foolhardy to say the least. 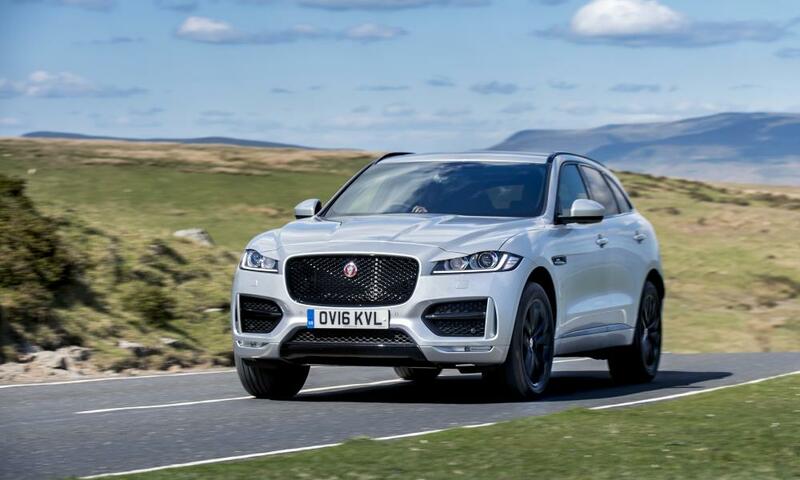 But Jaguar has made it clear from the outset that the F-Pace is all about performance. It’s a pumped up sister to the exhilarating F-Type roadster rather than a pale imitation of the omnipotent Range Rover Sport. It certainly looks terrific. From its bonnet bulge to its pronounced rear haunches and slit-like lights, this is a car that’s designed to appear quick a nimble rather than as an indestructible fortress with a penchant for giving Mother Nature a good thrashing. It’s certainly a head-turner, too. One passing driver on the M3 gave me a big wave and a grinning thumbs-up. But then I realised he was biased as he was driving an F-Pace himself. 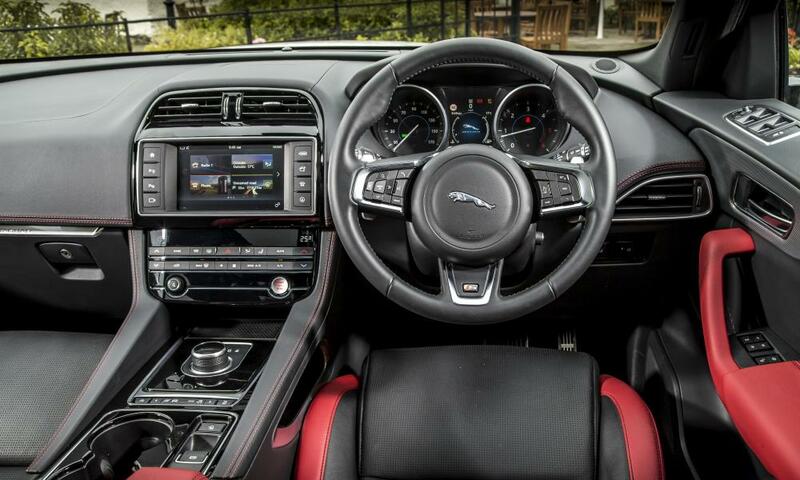 Inside there are plenty of luxurious touches and it’s packed with technology, from head-up display to surround camera and auto parking function. You can download an app that lets you remotely preheat or precool the car and check its vital statistics. It also has an “Activity Key” – a sort of waterproof bracelet fob. Jaguar imagines many of its new customers will not be old men in golfing slacks vying for the most conspicuous parking spot at the golf club, but fit young people heading to the coast for some kite surfing and a beach barbecue. To drive it feels dynamic and responsive. The best-selling engine will be the 178bhp 4-cylinder 2-litre diesel with a six-speed manual or eight-speed auto. This returns 57.6mpg and emits 129g/km of CO2, which is all well and good. But for those concerned about diesel emissions, there is little to tempt you at the moment. The only petrol power plant is the over-the-top 375bhp 3-litre supercharged V6, which will set you back another £15,000. However, sit tight and wait. JLR has recently unveiled a new Ingenium turbo petrol engine which will be available later this year – another boon for those happy not to be first.